Uptown Dental is committed to long term dental care and great smiles for your whole family. We strive to establish lasting relationships with all of our patients through open communication and mutual trust. From preventive and general dentistry to restorative and cosmetic treatment options, our team will provide you with quality care. Come visit our dentist office in Marion and trust us with your smile! New to Uptown Dental? Print and fill out these forms to bring to your first appointment. Our friendly, dedicated staff is here to assist you with any questions you may have about your dental health. We offer several financing options for your convenience. We will help in every way we can. 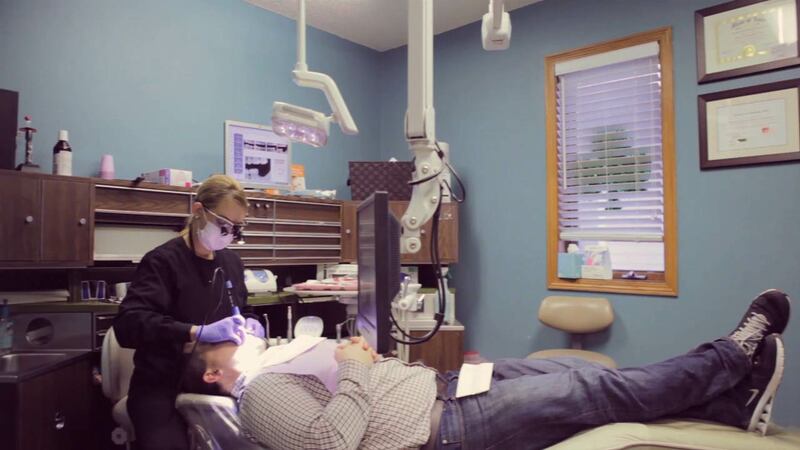 We want your visit to the dentist to be as relaxed as possible. That’s why we are always looking at the newest technologies for our dental services and keep our patients healthy and comfortable. Come visit us twice per year for regular dental exams, including teeth cleaning, oral cancer screenings & gum disease evaluations. Enhance your smile with our cosmetic treatment options - teeth whitening, invisible braces and more. Fillings, dentures, implants and extractions - we offer a variety of restorative services to improve your dental health.